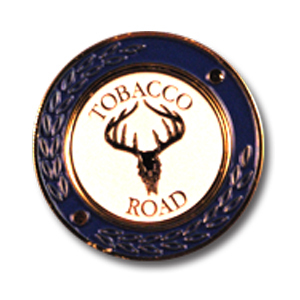 Tobacco Road ball marker with magnet on back. 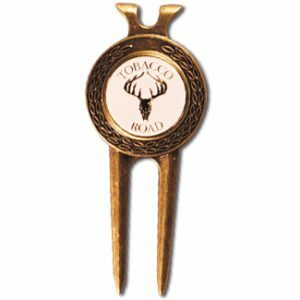 Great for replacing one that has been lost from your divot tool. Also can stick upon hat clip. 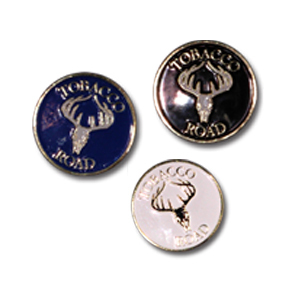 They also come with Tobacco Road Leaf logo!